The procedure in the Tape Review Show is very simple. One side of a tape release will be played in its full length. The tape itself and the art work will be described; artist name and label mentioned as well. Once the tape is finished, Adrian Shephard and yours sincerely (=Rinus Van Alebeek) might discuss the tape or go into stories and events, obviously inspired by listening to the sounds. The first broadcast of the Tape Review Shows are always unnanounced and live from the Radio On studio in Berlin. In this show we played Grip Casino/Ezio Piermattei’s C40 Holo Orbita and Posset’s C40 YHWH. In this show we got really depressed, because of the deplorable conditions we found ourselves in. After an initial talk about shoplifting gangs and suicide bombers, we listen to the tapes and talk about the old super 8 film days with projections in the kitchen. Fellini’s Roma is discussed linking it with some kind of an Italian underground movement. We end the evening in total despair, depicting a torture scene in a Chinese Gulag, before we return home to our dangerous neighbour and his two pitbulls. We got a cold as well. 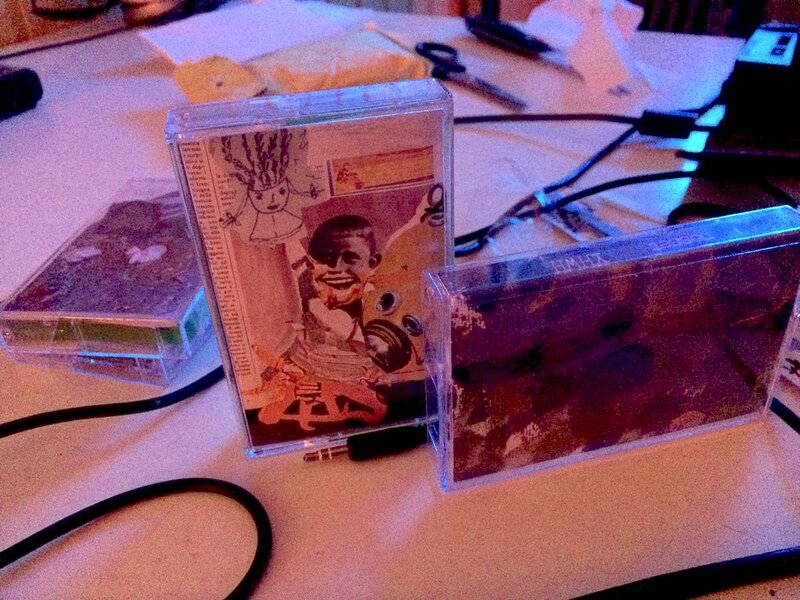 Both tapes received ace reviews.